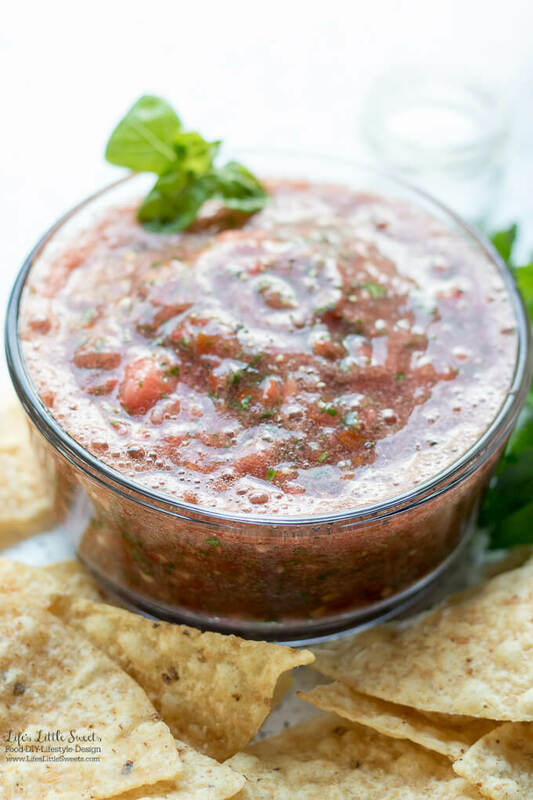 Hi Everyone, this Homemade Garden Fresh Salsa is a great way to use your tomatoes which are plentiful at the end of Summer. 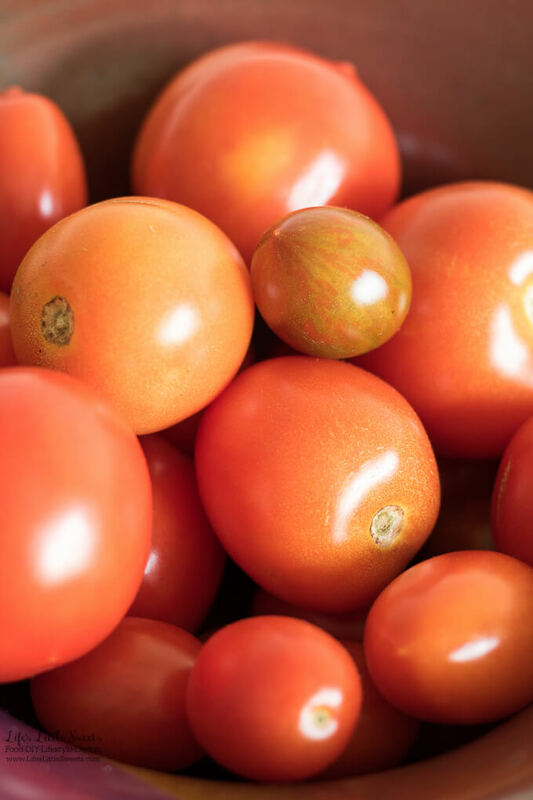 Right now, it’s officially Fall and my garden is still producing tomatoes everyday. 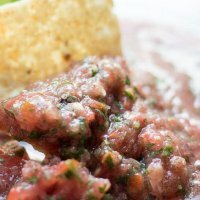 It’s also in the mid to high 80’s, so I am still craving Summer flavors. 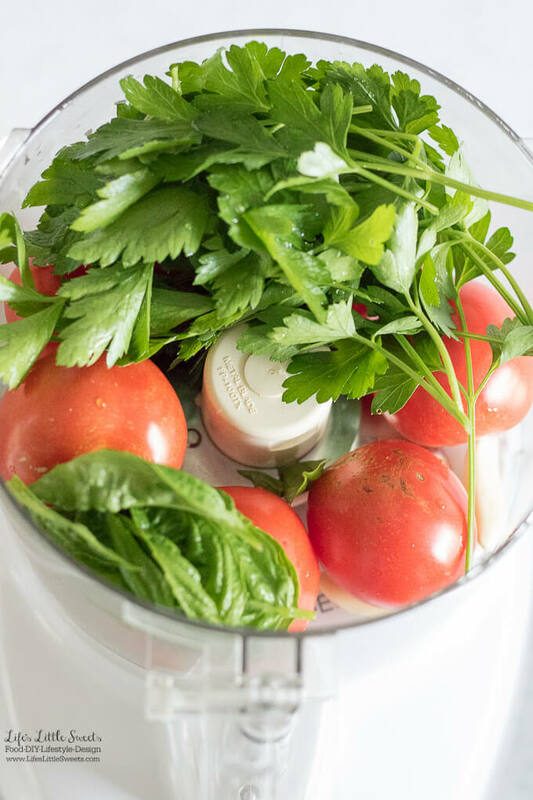 It also incorporates plenty of fresh Italian parsley, basil leaves, garlic and red or yellow onion if you choose. If you have a garden that is plentiful with parsley like mine, this is a great way to use a bunch of it. 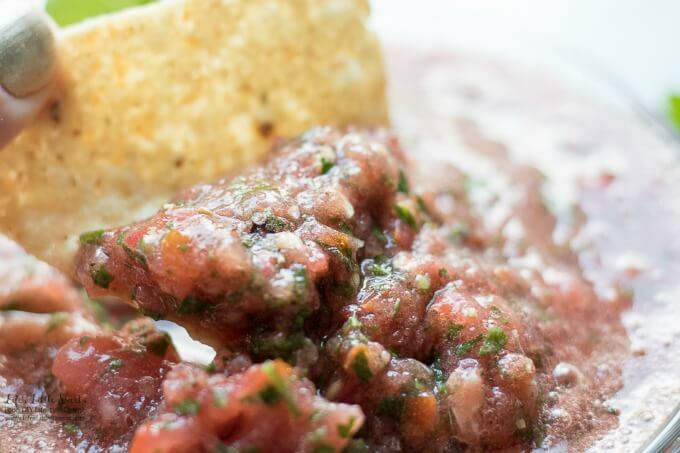 Cilantro would also be a great addition if you have it available. 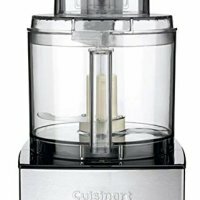 You can make it in the food processor and use the pulse setting to make it the texture that you want, either chunky or smooth. 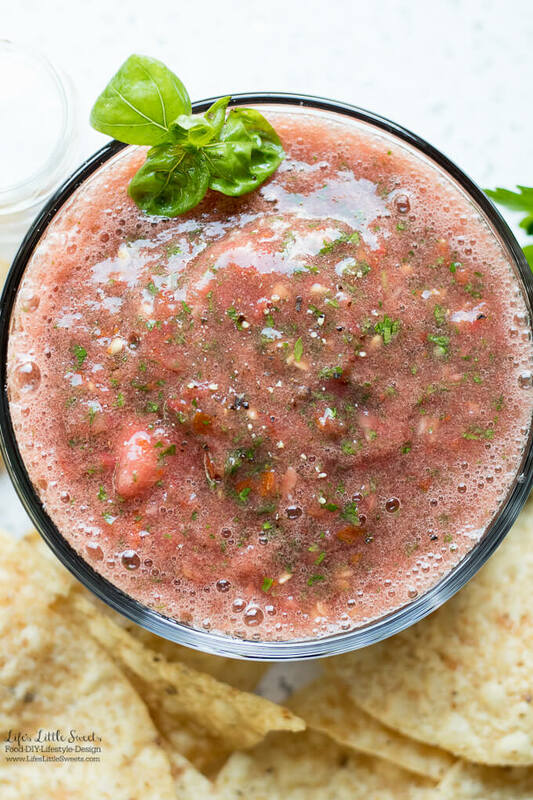 When this Homemade Garden Fresh Salsa is processed to a finer texture, it tastes like Gazpacho. 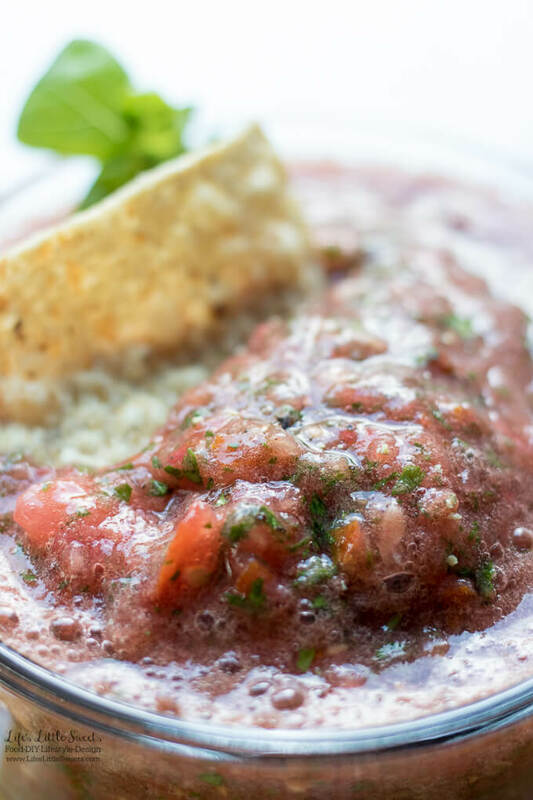 The garlic adds a bite to the flavor of the salsa. I recommend adding amount of Kosher salt and fresh ground pepper that you want for seasoning. 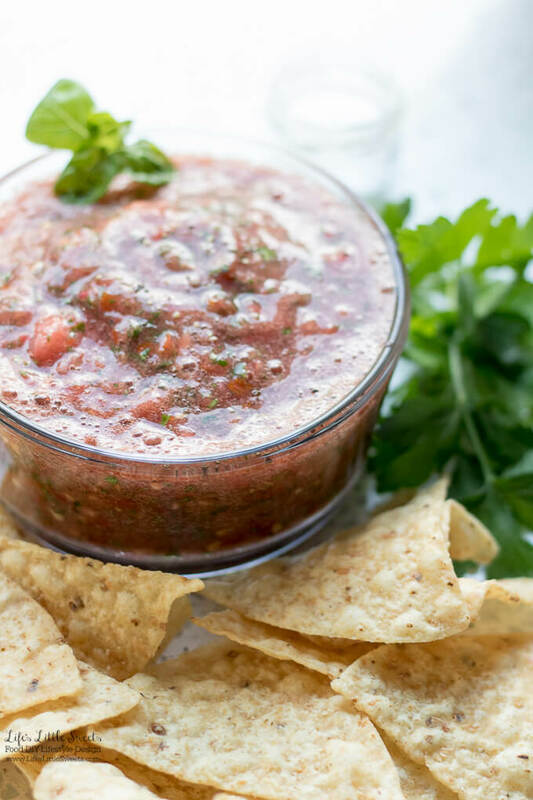 This Homemae Garden Fresh Salsa is best if eaten right away and I am sure it will get gobbled if it’s sitting next to a bowl of chips. It also goes great with tacos. 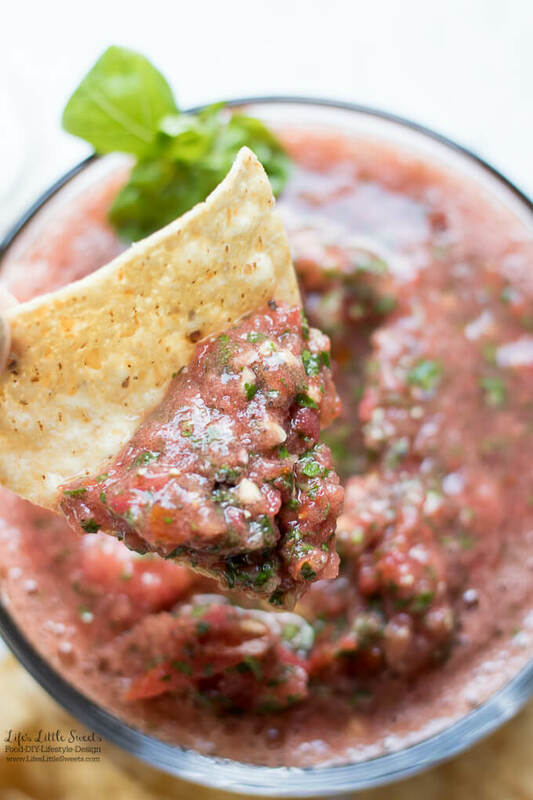 I know you will love this Homemade Garden Fresh Salsa! 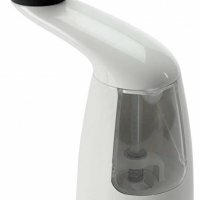 Place all ingredients in the food processor and pulse until desired consistency is reached. 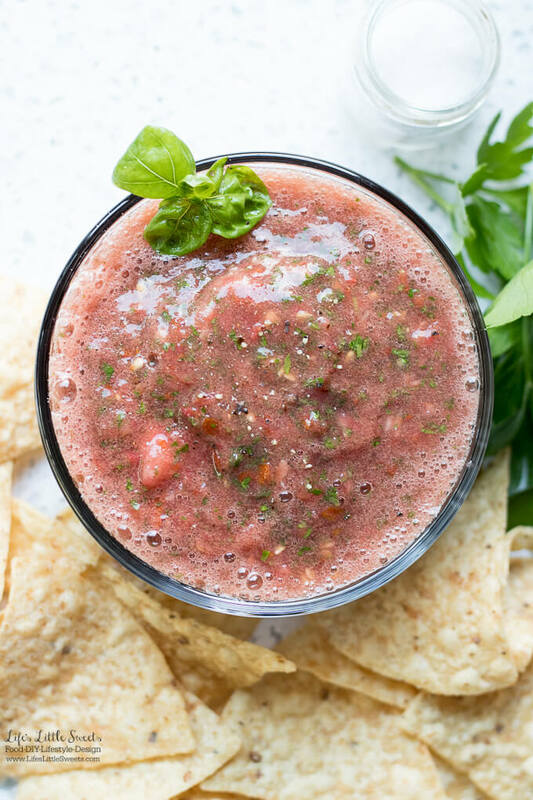 Garnish with more fresh basil and serve with tortilla chips and enjoy!